Sheryl O’Loughlin, a serial entrepreneur and author of KILLING IT! An Entrepreneur’s Guide to Keeping Your Head Without Losing Your Heart, joins host Janeane Bernstein Monday 2/27/17 at 9:45am pst! Did you miss Sheryl O'Loughlin on today's show? 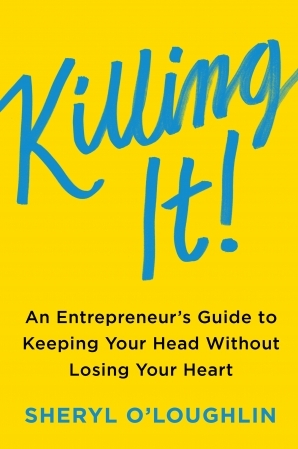 Sheryl O’Loughlin is a serial entrepreneur and author of KILLING IT! An Entrepreneur’s Guide to Keeping Your Head Without Losing Your Heart (Harper Collins, December 2016). 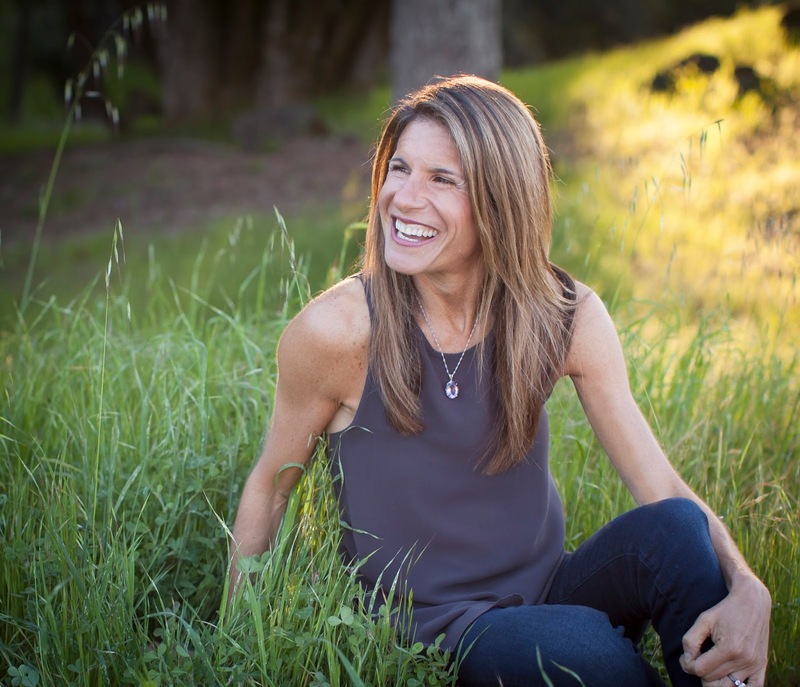 She has served as the CEO of Clif Bar, where she led the concept development and introduction of Luna Bar. In Sheryl’s three years as CEO, the company revenue doubled from $100M to $200M. She then went on to co-found and serve as CEO of Plum Organics. Plum was sold in 2013 to the Campbells Soup Company. She was the Executive Director of the Center for Entrepreneurial Studies at the Graduate School of Business at Stanford University. Sheryl is currently CEO of REBBL, a fast-growing maker of super herb beverages. Sheryl earned her MBA from the Kellogg School of Management at Northwestern University. She lives in Santa Rosa with her husband, Patrick, and her two sons. The former CEO of Clif Bar, Co-founder of Plum, and serial entrepreneur offers insights about launching and growing a business while maintaining a fulfilled life in this practical guide filled with hard-won advice culled from the author’s own sometimes dark, raw experiences. With a foreword by Steve Blank. Aspiring entrepreneurs are told that to launch a business, you must go all in, devoting every resource and moment to making it work. But following this advice comes at an enormous personal cost: divorce, addiction, even suicide. It means sacrificing the intangibles that make life worth living. Sheryl O’Loughlin knows there is a better way. 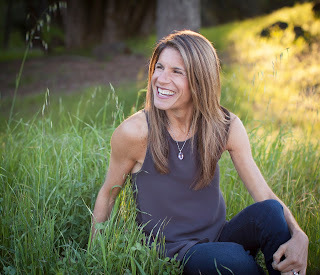 In Killing It, she shares the wisdom she’s gained from her successful experiences launching a company from the ground up (Plum), running two fast-growing companies (Clif Bar and REBBL), and mentoring aspiring entrepreneurs (Stanford University). She tells it like it is: If you don’t invest in your wellbeing, your business will not succeed, nor will you. Sheryl knows firsthand the difficulty of balancing the needs of her growing family with her physical and mental health, while managing other work and life challenges. In this warm, honest, and wise handbook, she gives you the essentials for killing it in business—without killing the rest of your life. How do you prepare your significant other for your business venture? How do you time launching and growing your business with the ebb and flow of family life? How do you find joy in the day-to-day? How do you maintain meaningful, supportive friendships? How do you walk away and start again? The ultimate life and business course, Killing It gives entrepreneurs the tools they need to start their enterprise and thrive—both in the office and at home. Kenneth E. Miller joins host Janeane Bernstein 2/27/17 at 9:30am to talk about his latest book, "WAR TORN - Stories of Courage, Love and Resilience." Did you miss Kenneth on today's show? Kenneth E. Millers' latest book, WAR TORN, focuses on stories of civilians in war zones and the courage and resilience they exhibit to survive their incredible scenarios. Many of these people end up becoming refugees, some of who are now banned from entering our country in the sweeping and shocking executive order by President Trump over the weekend. Kenneth is available for interview immediately and is the perfect resource to help audiences learn about the populations affected by these immigration policy changes. With some 200 million people affected by armed conflict or genocide, refugees are appearing in record numbers. War Torn takes us beyond the headlines into the lives of civilians caught up in war's destructive power in Afghanistan, Iraq, Bosnia, Guatemala, and Sri Lanka. Alongside stories that convey the destruction and heartbreak of armed conflict, he captures the courage and resilience he calls “a remarkable kind of light,” an essential counterpoint to the grief and trauma that war creates. The stories in War Torn are powerful, heart-wrenching, and unforgettable. After reading them, we welcome the rich list of options Miller offers (at the end of the book) for ways we can help. Drawing on his extensive research and clinical experience, Miller also offers a nuanced critique of the overly narrow focus on PTSD among survivors of armed conflict. "Ken Miller weaves together for us tragic stories of war, loss and injustice with tales of friendship, family, and laughter. Ken's gift is the way he listens, which takes him and his readers beyond simple categories of war victim or trauma to the complex experiences people have in settings torn apart by violence. I'm grateful for the way he has captured the simultaneously disabling and inspiring coexistence of darkness and light in these places." Journalist Daniel Connolly joins host Janeane Bernstein 2/27/17 at 9:15am pst to talk about his book, " The Book of Isaias - A Child of Hispanic Immigrants Seeks His Own America." Did you miss Daniel on today's show? The debate over immigration policy has reached a fever pitch. But what many politicians fail to acknowledge are the personal stories of immigrants and their children, the humanity behind immigration policy. Based on five-plus years of reporting, THE BOOK OF ISAIAS: A Child of Hispanic Immigrants Seeks His Own America (Published by St. Martin’s Press), by journalist Daniel Connolly, paints a “delicate, comprehensive, and empathetic portrait” of the lives of the children (one brilliant young man in particular) of unauthorized Mexican immigrants growing up in a society that hasn’t quite made room for them. In a green town in the middle of America, 18-year-old student Isaias Ramos does all the right things to pad his college resume. He aces a national calculus exam, studies the viola for fun, and appears on local television as the captain of the quiz bowl team. But Isaias faces a dilemma: apply to Harvard (as his counselors think he should) or forgo college to paint houses alongside his unauthorized immigrant parents. Connolly uses Isaias’s story to make a broader point: that the children of immigrants have great potential, that many obstacles threaten that potential, and that the nation should work to develop their potential for the good of all, especially considering the fact that one in four young people in America is the child of an immigrant. 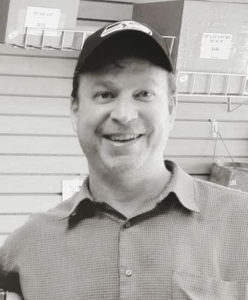 DANIEL CONNOLLY has for more than a decade reported on Mexican immigration to the U.S. South for news organizations including The Associated Press in Little Rock and The (Memphis) Commercial Appeal. An award-winning journalist, he has received support from the Pulitzer Center on Crisis Reporting, the International Center for Journalists and the Fulbright program. He lives in his hometown of Memphis, Tennessee. 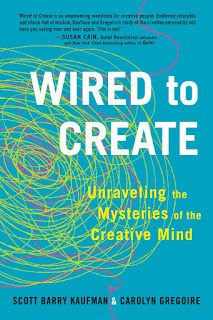 Scott Barry Kaufman, Ph.D., scientific director of The Imagination Institute in the Positive Psychology Center at the University of Pennsylvania, and Carolyn Gregoire, senior writer at The Huffington Post, joined host Janeane Bernstein Monday 2/27/17 at 9:00am pst to talk about their book, "Wired to Create." Did you miss Scott and Carolyn on today's show? Revealing the latest findings in neuroscience and psychology, along with engaging examples of creative luminaries like Josephine Baker, Frida Kahlo, Thom Yorke, and Shigeru Miyamoto, Wired to Create shows us how to enrich the creative aspect of our lives. Let me know if you’d like to schedule an interview for late December or early January. 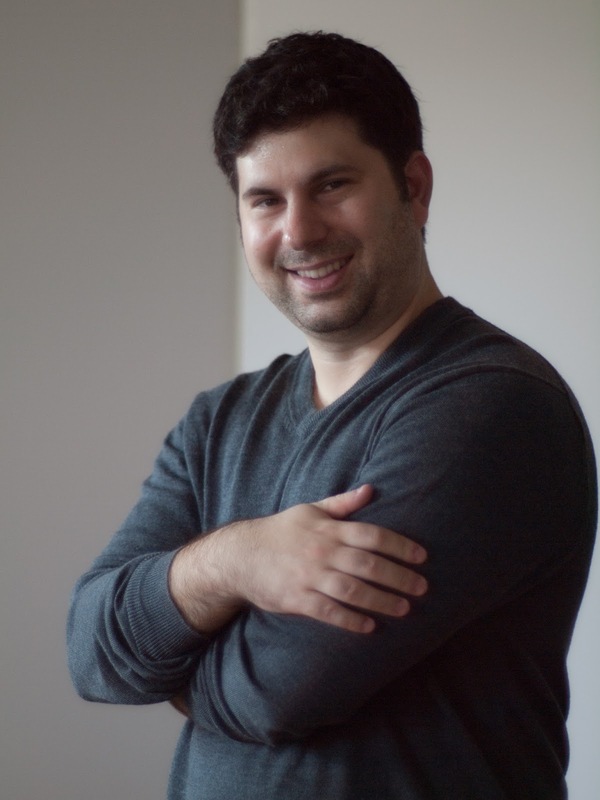 Scott Barry Kaufman, Ph.D., is scientific director of The Imagination Institute in the Positive Psychology Center at the University of Pennsylvania, where he investigates the development and measurement of intelligence, creativity, and personality. He has written or edited six previous books, including Ungifted: Intelligence Redefined. He writes the blog Beautiful Minds for Scientific American, and regularly gives keynotes and workshops on the development of intelligence, creativity, and human potential. Carolyn Gregoire is a senior writer at The Huffington Post, where she reports on psychology, mental health and neuroscience. Her writing has also appeared in Scientific American,TIME, Harvard Business Review, Tricycle: The Buddhist Review, The New Republic, Yoga Journal and other publications. Over the years, psychologists and neuroscientists have attempted to put creative people under a microscope, but the creative process has long defied attempts to be neatly categorized. Creative personality types are difficult to pin down largely because they exhibit a complex series of traits, behaviors, skills, environments, and emotions, and it is this easy adaptability that gives them the freedom to create novel ideas and products. Inspired by their viral Huffington Post article “18 Things Highly Creative People Do Differently,” which garnered over 5 million views in one week, positive psychology expert Scott Barry Kaufman and Huffington Post psychology writer Carolyn Gregoire explore how we are WIRED TO CREATE: Unraveling the Mysteries of the Creative Mind (TarcherPerigee Paperback, on sale December 27, 2016). Combining the latest scientific research with case studies of artists and innovators throughout history, the book shines a light on the practices and habits of mind that promote creative thinking. Kaufman and Gregoire untangle a series of paradoxes – like mindfulness and daydreaming, seriousness and play, openness and sensitivity, and solitude and collaboration – to show that it is by embracing our own contradictions that we are able to tap into our deepest creativity. · How the creative personality may paradoxically lead some to score high on characteristics our society tends to associate with mental illness, and the interesting connections between creativity and suffering. 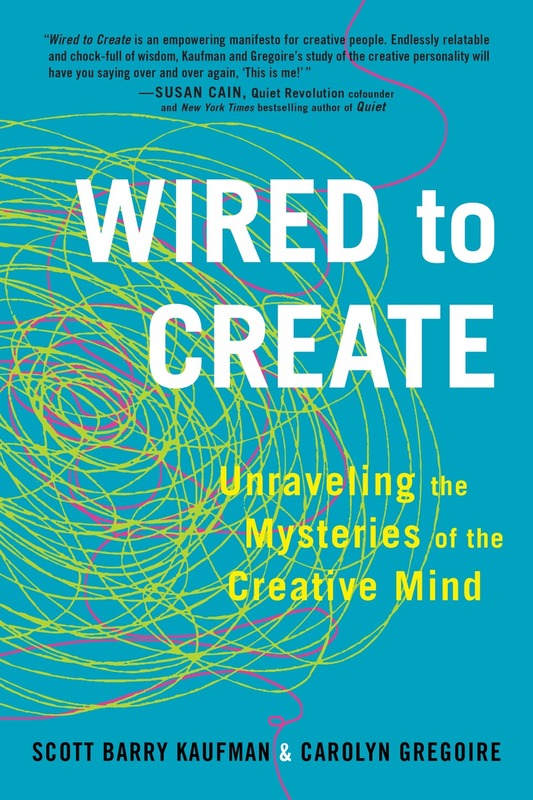 Sacrificing neither scientific rigor nor readability, WIRED TO CREATE is a comprehensive look at and celebration of the creative mind in all of its beautiful complexity and contradictions. Vanessa Van Edwards, a published author and behavioral investigator, joins Janeane Monday April 24 at 9:00am pst on KUCI 88.9fm! If you missed Vanessa on today's show, listen here! 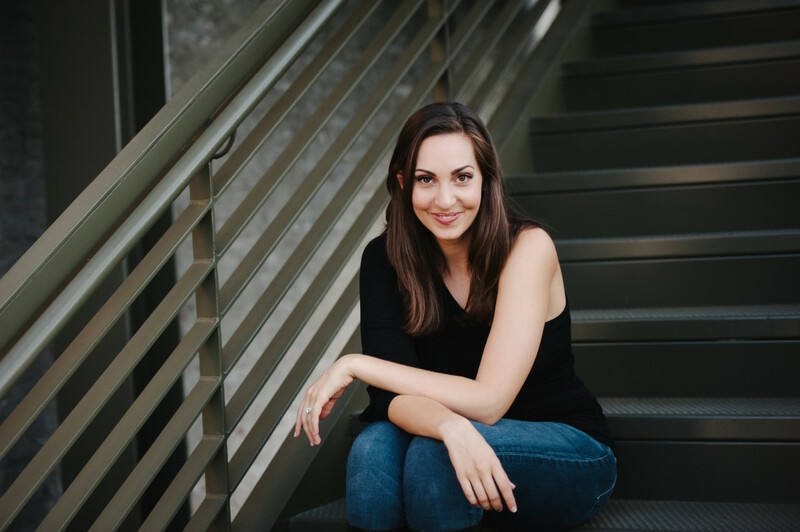 Vanessa Van Edwards is a published author and behavioral investigator. She is a Huffington Post columnist and her courses and research has been featured on CNN, Forbes, Business Week and the Wall Street Journal. As a published Penguin author, Vanessa regularly speaks and appears in the media to talk about her research. She is a sought after consultant and speaker. I used to be boring. Really uninterestingly bland. Almost offensively dull. It wasn’t for lack of trying. I just didn’t understand people. How to read them. What makes them tick. How to carry a conversation. Most of all, I didn’t think I had anything to offer. I didn’t have the confidence to be interesting. I didn’t value myself. So how could anyone else? My goal is to teach you how to be the most memorable person in the room. Have you ever walked into a party afraid what people were thinking of you? Had someone forget they had met you before? Or stumbled your way through an awkward date? If so, I want to help you. Visit Vanessa's website to learn more! Award-Winning Director Jillian Armenante joined Janeane Monday 2/20/17 to talk about her latest hilarious project "STUCK!" Director Jillian Armenante. listen here! The cast and crew would love your help getting "STUCK"
STUCK has an Amazing Cast. Just a little support, and they'll have a MOVIE! Writers Heather Turman and David Mickel were introduced through Newfilmmakers LA to award-winning director Jillian Armenante, and together the three of them joined forces to produce Stuck! Together, the three of them did something remarkable -- completed a successful Kickstarter campaign, were given a production grant from MovieMaker Magazine, got announced in a Deadline article ( http://deadline.com/2016/09/heather-matarazzo-n... ), and finished principle photography with a celebrity cast unheard of in a low budget indie. Including Joel McHale, Kate Flannery, Kirsten Vangsness, Paul Scheer, Felicia Day, Constantine Maroulis, and Chris Redd. And of course, an absolutely stellar performance by actress Heather Matarazzo (The Princess Diaries, Welcome to the Dollhouse, Saved), in the proper adult lead role her fans have been waiting for. We've got a hilarious movie on our hands that exceeded all of our artistic expectations, but getting it done and seen by everyone requires more money, time and resources. Ms. Armenante has dedicated her artistic life to creating original stories and new works. Most recently she executive produced, wrote, directed and acted in the original series Kittens In A Cage (based on the play by Kelleen Conway Blanchard), with such notable actors as Michelle Monaghan, Felicia Day, Misha Collins, Joel McHale and dozens more. Kittens won a multitude of awards, including Temecula Independent Film Festival: “Best Comedy Feature” and “Top 5 of Festival,” IndieFest Film Awards: “Award of Excellence,” LA Spotlight Film Festival: “Best Feature Film,” LA Comedy Festival: “Best Feature” and “Best Ensemble,” and DIY Film Festival: “Best Comedy Feature.” Additionally, the project took home the coveted “Grand Prize” award at WebSeries Festival Global, and was an Official Selection at a myriad of other festivals in the US and abroad. 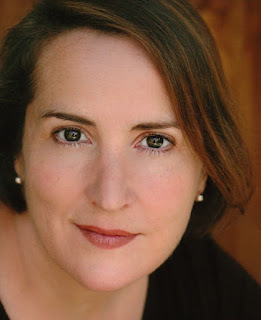 As an actress, Jillian Armenante boasts film credits in Hail, Caesar!, The Dark Night Rises, Bad Teacher, A Mighty Heart, North Country and Girl, Interrupted. She was a series regular (130 episodes) on the CBS Drama Judging Amy for which she won a TV Guide Award, and is currently in a recurring role on ABC’s Fresh Off The Boat. Additional television credits include Better Call Saul, Scandal, The Fosters, Shameless, Party Down, The Closer, Grey’s Anatomy, The West Wing and countless others. She also holds a BAPA degree from Middlesex University, London. She is represented by DOMAIN TALENT and FRAMEWORK ENTERTAINMENT. 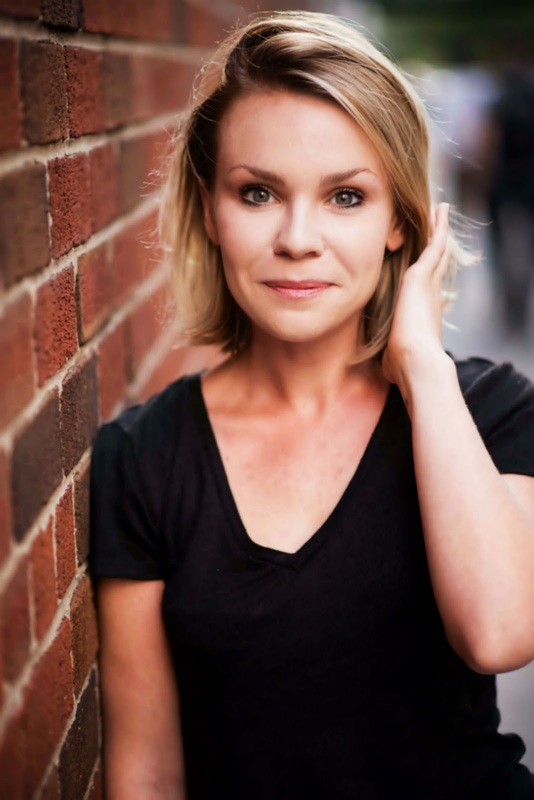 Though she’s known best for her work as a stand-up comedian, Heather Turman has over a decade of experience in creating comedic content of all varieties. At just 19 years-old, Turman co-produced and acted in the short-film Subdivision with Larry Laboe (producer of NBC’s Ctrl and Fact Checker’s Unit). She also wrote, produced, directed and acted in short Opening Night, which premiered at Newfilmmakers LA, and her original web-series Conversations with Future Stars was featured at LA Webfest in 2013. Other acting credits include a role alongside Ryan Gosling in the upcoming film La La Land, by Oscar-winning director Damien Chazelle, and the mockumentary Archie Black: The Worst, starring Jay Mohr. Turman was also a sketch-writer for the 2015 CBS Diversity Showcase, and recently, she and writing partner David Mickel co-wrote and sold their feature The Catch to Principle Entertainment, and the female buddy-comedy is set for production in 2017. As a stand-up comic, Turman attacks the stage with an unapologetic sense of self. Her impeccable timing and brutal honesty have landed her on the FOX series Laughs, and Comedy Time TV. She was also a top-finalist in the 2015 Westside Showdown in Los Angeles, and she has entertained audiences in 20 states and 75 cities. She is represented by Andy Coleman at LINK ENTERTAINMENT. With more than ten years of professional screenwriting experience, Mr. Mickel has optioned and sold a variety of comedy scripts to Hollywood. David’s first feature, the teen comedy Crimes of Fashion was bought and produced by ABC Family, and starred Kaley Cuoco and Megan Fox. He later optioned Dating Mr. Huggles to producer John Davis (I Robot, Predator, The Man from U.N.C.L.E.) who sold it to 20th Century Fox. Most recently, Mr. Mickel & Heather Turman sold their buddy comedy The Catch to Principle Entertainment, which is slated to begin production in 2017. Mr. Mickel is very proud to have STUCK as his debut production-venture. Multi-talented Singer/Songwriter Jenna Torres joined Janeane Monday 9:30am PST 2/20/17 on KUCI 88.9fm! Jenna Torres on her latest CD "Wild Sugar!" If you missed Jenna on today's show, listen here! New York City to Nashville, and all the highways, bi-ways, and dirt roads in between live and breathe in Jenna Torres’ songs of hope, heartache, and a life well worn. A country-rock siren, who has won acclaim as a recording artist and songwriter, Jenna finds no shortage of inspiration when it comes to matters of the heart. She has a way of distilling her experiences into heartfelt songs of love and loss whether drawing from personal experience or stories of those she meets along her way. Jenna Torres has enjoyed a successful career writing songs for Warner Music Group and Warner/Chappell Music. Legendary music executive Judy Stakee signed Jenna to Warner/Chappell Music. Noteworthy artists have cut songs from Jenna’s pen including singing sensation Martha Wash (from the Weather Girls) for whom Jenna wrote the anthem “Proud”. Jenna co-wrote the moving cry for spiritual connection “Busted Heart” with Ben Glover charting in the Top 10 on the Billboard Christian Hot 100, AC, and CHR charts for the group For King & Country. On Jenna Torres’s forthcoming album Wild Sugar, she continues to tell her heartfelt yet driving stories of loving and letting go. The video for the title track was shot in the beautiful town of Dahlonega, GA and co-stars Richard Turner of southern rock and country band Blackberry Smoke. Heart On Wheels is the follow-up release to Jenna Torres's critically acclaimed album A Woman's Touch which spawned the single ".22" and it’s accompanying video that remained in the Number One spot in the Artist Charts on Yallwire, a premier country music video network, for over six months. "Torres definitely delivers on her latest release, serving notice to the musical world that she is a force to be reckoned with. Whether it be a power ballad or a up-tempo rocker, Torres succeeds quite often on A Woman’s Touch, with each cut showcasing a different layer or aspect to her vocal talents. All in all, she has assembled quite a collection on this album – one that we hope will garner some well-deserved attention. Write down the name, folks. You’re going to be hearing it a lot!" "Jenna Torres delivers the real deal. Real talent. Real inspiration. Real heartland America. She has a beautiful voice and her new album A Woman's Touch is so good it cannot be contained in any one classification. It marks a new chapter for musicians everywhere. 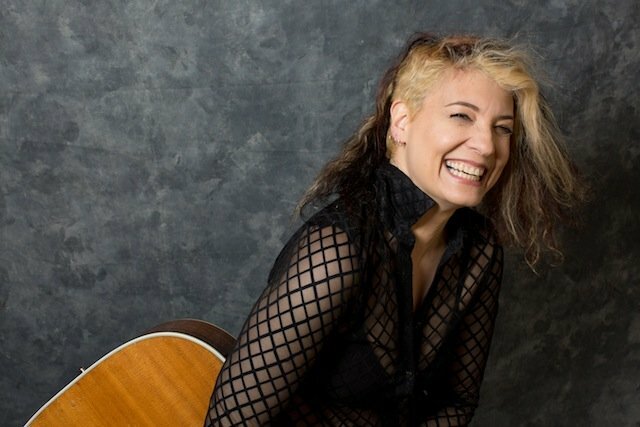 Very Highly Recommended"
Incredibly accomplished Musician, Singer/Songwriter Janet Robin joined Janeane Monday 9am pst 2/20/17! It's not everyday you get to chat with someone who started taking guitar lessons at 9 years old with Randy Rhoads, and later performed with guitarist Lindsey Buckingham. Janet Robin has always been passionate about guitar and her dedication really shows. If you missed Janet on today's show, listen to our conversation here! Janet Robin can be defined in a single word: musician. Many people attempt to make music, but few earn that illustrious title. Those in this business reserve that label for the rare individuals who consistently demonstrate a high level of talent, perseverance, taste and sensitivity over a period of time. To these people making music is not simply a pastime; it is a matter of blood and guts. That a serious addiction to making music runs through Robin’s veins is made clear from a quick review of her career. A Southern California native, Robin’s musical education began the moment she met her guitar teacher, Randy Rhoads (Quiet Riot, Ozzy Osbourne). Under Rhoads’ tutelage, Robin became an ace six-string player and, while still in high school, parlayed this education into a position as the lead guitarist for the all-female rock band Precious Metal. Discovered by Rodney Bingenheimer of the legendary L.A. rock radio station KROQ, Precious Metal was soon signed to Polygram Records. Later moving to Chameleon/Capitol Records, Precious Metal released several albums, wrote with Heart, Poison and Cheap Trick, toured extensively and gained accolades from both fans and critics alike. Following the demise of Precious Metal, Robin joined Fleetwood Mac guitarist Lindsey Buckingham’s band in support of his 1992 solo album, Out of the Cradle (Reprise Records). A consummate pro, working with Buckingham profoundly influenced Robin’s guitar playing, singing and songwriting, as well as her general approach to the music business. This new direction led to Robin’s 1998 debut solo album, Open the Door. Released on her own label, Little Sister Records, Buzz Weekly described the CD as “smart, savvy, fuzzy, hooky pop.” She has seen songs from this album featured in film and television; most notably on the then popular T.V. show Felicity. Ever the road warrior, she supported the disc by opening for such acts as Heart, Colin Hay, Loudon Wainwright III and the Smithereens, steadily building a wide fan base. Robin has since continued to tour heavily and averages as many as 150 dates per year. Encouraged by the warm reception of her debut, Robin released three more albums on Little Sister including the acoustic After the Flood which was recorded in Laurel Canyon and features “Beautiful Freak” which has since become a fan favorite and one of Robin’s defining songs. Also among these records is 2007’s Days of Summer. Recorded with producers David Bianco (Tom Petty, Teenage Fanclub, Mick Jagger) and Steve Baughman (Eminem, 50 Cent), this acoustic based EP is the work of an artist willing and able to explore the poignant emotional states of adulthood while avoiding the stereotypes brought on by most acoustic singer-songwriters. Working on the album was an experience that greatly affected her style and led Robin to many new and exciting opportunities including multiple tours in Europe. 2012 here in the USA, saw Robin release her album Everything Has Changed that bridges the gap between passionate acoustic music and gutsy rock n’ roll. With the help of her dedicated fan base, Robin was able to raise the funds ($20,000) for that studio effort. The loyal support enabled her to team up with producer John Carter Cash (Johnny Cash, June Carter Cash, The Nitty Gritty Dirt Band) at Cash Cabin Studios outside of Nashville. The son of Johnny and June, Carter Cash was a producer on the Johnny Cash biopic Walk The Line and produced several records with his father as well as a Grammy Award winning record for June. Built by Johnny in 1979, this studio is where the country legend recorded much of his later work including his final recording, American V: A Hundred Highways, which was released posthumously and co-produced by Rick Rubin and John Carter. Robin had previously released “Everything Has Changed,” in Europe, with Hypertension Music based in Hamburg, Germany. Coupled with the strength of her growing European following and introduced to the German based label by friend and frequent touring partner Colin Hay (Men At Work), Robin signed a licensing and distribution deal with Hypertension for a Winter 2010 European release of Everything Has Changed. The company also did the booking for Robin throughout Europe and after the initial release in Europe, she secured a January 2010 tour with Midge Ure (Ultravox – co-organizer of Live Aid, Band Aid and Live 8). Janet enjoyed the experience of working with Cash so much that she returned this 2016 to record her latest studio effort "Take me as I am" again with John Carter Cash as executive producer and Chuck Turner producing and engineering: "We have talked at great length about this project and he understands my desire and vision to record an album that is representative of the energy brought out in my live performances," Robin says of John Carter Cash. "It’s just great to work with a producer that lets me be myself, yet brings out the best in my work. There weren’t many restraints working with John and the vibe and history at Cash Cabin is overwhelmingly inspiring. John seems to "get me." The official release for "Take me as I am" in the USA will be Oct. 17th, 2016 and the European/UK one will be in January 2017. She has since had several successful headlining tours in the Czech Republic, Poland, Germany, UK, and France where she plays solo acoustic shows, and with a her band, to sold out crowds in clubs (200-400 cap venues) and festivals (1,000's) across Europe. Janet recently finished a 34 date whirlwind summer tour in 5 countries in Europe, culminating with a featured solo performance at the renowned "Blues & Jazz Festival" in Rapperswil-Jona, Switzerland. In addition to pursuing her solo career both in the U.S. and abroad, few musicians are able to work with the great variety of artists that Robin has been fortunate enough to be around. Besides the aforementioned Lindsey Buckingham, Robin has toured, performed with, recorded, or written songs with Tommy Emmanuel, Peppino D’Agostino, Meredith Brooks, Monty Montgomery, Michelle Shocked, Maia Sharp, Marcy Levy (co-writer with Eric Clapton on “Lay Down Sally”), Ann and Nancy Wilson (Heart), Garrison Starr, Anne McCue and many more. Her most recent side-woman gig was the touring guitarist of Air Supply in 2009. In 2015, She was featured on the bill for the prestigious "All Star Guitar Night" which features some of the top guitar players in the world, during the LA NAMM convention. Touring nearly 150 dates a year with her own project, she has seen her solo career rise to higher and higher levels each year. Robin has also had songs placed in TV and films such as “One Life to Live,” “All my Children,” “Felicity,” “Free Enterprise,” and many more. She has also recently completed the original score for the short film “Traces” directed by Joseph Culp (actor Robert Culp’s son) and the film was accepted into the prestigious Palm Springs Short Film Festival and the Hollywood Film Awards, in June 2012. In January of 2015, Janet was also hand-picked to coach and consult actress Jennifer Jason Leigh for 2 months on location and in Los Angeles for a special guitar scene in the Quentin Tarantino film, "The Hateful Eight." The actress was nominated for an Academy Award. And in June/July of 2015 she was also hand picked for the guitar position in the musical "Girlfriend" to rave reviews at The Kirk Douglas Theater in Culver City, California. Along with Janet's busy solo career she has started a side project featuring 4 amazing guitar players- "The String Revolution." Combining 4 guitarists each with their own unique contribution to a "band" sound. They have finished their first release and it was mixed by the prestigious Matt Hyde in London who worked previously with famed guitarists Rodrigo y Gabriela. The record was released Oct. 15, 2016 and touring dates to follow. However, one need not base their judgment on Robin solely on those with whom she has been associated. Only a listen to her albums or a ticket to one of her shows will prove the opening claim to be true. For what underlies the Janet Robin labels of singer, guitarist, songwriter, producer, and road warrior is a single word: musician. Janet Robin conducts guitar workshops, has hosted DVD recordings for Alfred Music Publishing, and is a respected clinician and endorser for Turner-Renaissance Guitars, Line 6. Taylor Guitars, Fender Guitars, Martin Guitars, Seymour Duncan, Audix, Martin Guitars, Daisy Rock, DR Strings, Clayton Picks, & Thimble Slide amongst others. Fiona Joy, a Classically trained New Age Composer, Pianist and Singer from Australia (LA Chapter) joined host Janeane Bernstein 2/13/17 on KUCI 88.9fm! Fiona Joy on today's show, listen here! Fiona Joy poured her heart and soul into Signature – Synchronicity, a New Age album submitted to the 59th Grammy Awards for consideration. You can listen on: http://www.thebcompany.com/fionajoy-fyc.html. I'm very proud of this album about fairy-tales told from an adult perspective - it has taken me a long time to be able to find a little 'naïve' in some of these heart-felt issues. I’m a full-time composer, recording and touring musician and just returned from my third tour of China. Signature - Synchronicity is my 11th album with Little Hartley Music and I’m also an audiophile who records in hi-res formats with Blue Coast Records (content partners with Sony). I have been an ARIA Finalist (Australia), 8 x New Age Music Award Winner, a 5x IMA Finalist, and I’ve been Runner Up or Finalist in the International Acoustic Music Awards (IAMAs) over the last three years. Australian Pianist, Producer & Singer Fiona Joy is enjoying the success of her recent release Signature Synchronicity after returning from her third major tour of China, recording a new album in the US, and featuring in several Australian concerts with her Blue Dream Ensemble at the Joan Sutherland Performing Arts Centre and the Sydney Women's International Jazz Festival. In China Fiona Joy is nick-named The Piano Angel, not just for her romantic, melodic songs and lush arrangements, but also for her gracious and mesmerizingly ballet-like performance style in concert. A prolific composer, she has always been interested in creating music that evokes images, emotions and stories. The album so far has won two catetories in the Independent Music Awards, a Finalist in the International Acoustic Music Awards, Hollywood Music in Media Awards and the USA Songwriting Competition. Her recording schedule for 2017 includes Blue Coast Records solo piano release (SACD/CD/DSD) Into the Mist and FLOW - the debut album by Fiona Joy, Lawrence Blatt, Jeff Oster & Will Ackerman. FLOW will be a groundbreaking release by a New Age group fof successful artists inspired by the iconic music of Windham Hill. In 2014, a version of Fiona’s song “Grace” was chosen for a GRAMMY®-winning album that also reached #1 on the Billboard charts, and in 2013, her evocative piano and ethereal vocals earned her the global broadcaster’s choice and honor as the Best Instrumental Piano Album for600 Years in a Moment at the ZMR Awards, whose airplay charts she also graced at #1 for several months with Signature Solo. Fiona Joy also placed as Runner Up for Best Instrumental Song in the International Acoustic Music Awards, nominated alongside Pete Seeger for Best LIVE Performance Album in the Independent Music Awards, and she was an ARIA Finalist in Australia in 2008. As a forward-looking artist, Fiona is interested in pioneering new musical concepts and recording techniques to better serve her highly-interactive fan base. 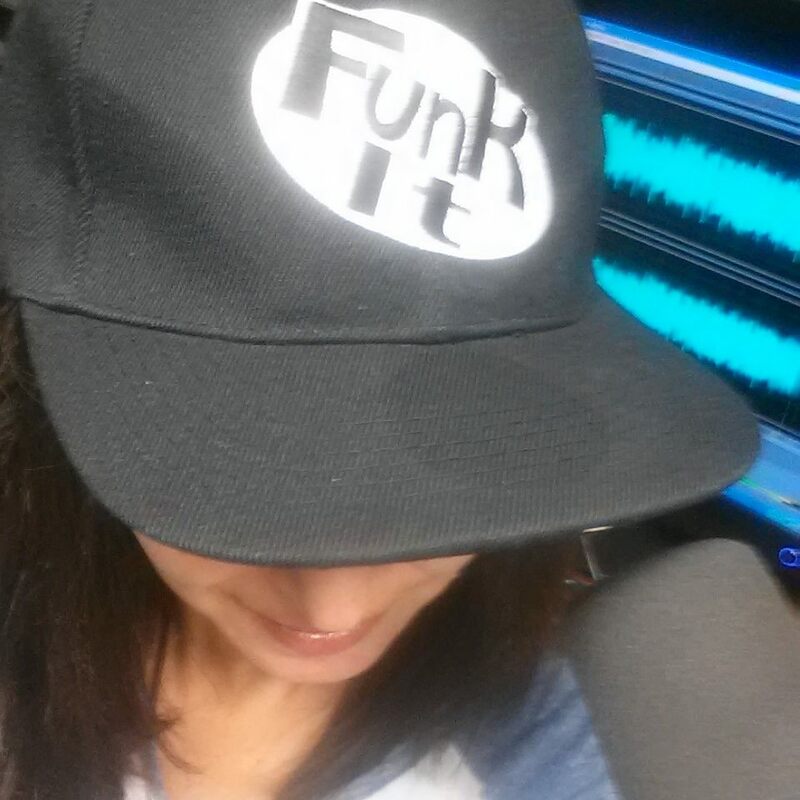 She frequently appears at audiophile conferences, and is signed to Blue Coast Records for high-fidelity recordings; owner/producer Cookie Marenco is considered and leader in the field, partnering with Sony Music to deliver hi-resolution music to discerning audiophile consumers. Marenco says, "Fiona's melodic solo piano and masterful performances are the perfect music to debut the kind of clarity double DSD audio brings to the home listener. Her music is a cross of George Winston's simple melodies and Ludovico Einaudi's musical sophistication." As a collaborator, Fiona has worked with Will Ackerman, Lawrence Blatt, T-Bone Wolk (Hall & Oates), Tony Levin (Peter Gabriel, Dire Straits), Jeff Haynes (Pat Metheny), Eugene Friesen (Paul Winter Consort), Heather Rankin, Charlie Bisharat (Shadowfax), Rebecca Daniel (ACO), Jeff Oster and many others. In 2014, she and Ackerman co-produced the successful debut album of Jennifer DeFrayne, who won Best New Artist in the 2015 ZMR Awards for her album By A Wire. When not recording or touring, Fiona is busy directing the entrepreneurial side of her music business, an effort which is crucial to the success of every independent artist. She manages her growing record label, Little Hartley Music, and promotes Fiona Joy Jewellery, her new line offering the upscale Swarovsky crystal-adorned bracelets and foot jewellery that she wears while performing barefooted in concert. When not on the road, Fiona escapes to her peaceful home in a small rural village in Australia. Director: Kahane Cooperman of the Oscar Nominated Joe's Violin joins host Janeane Bernstein Monday at 9:15am PST! If you missed Director Kahane Cooperman on today's show, listen to our conversation here! IN THEATERS NATIONWIDE STARTING NEXT FRIDAY, FEBRUARY 10 & STREAMING ONLINE NOW! "A POWERFUL TESTAMENT TO OUR POTENTIAL AS HUMAN BEINGS." 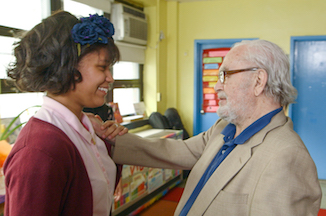 In Joe’s Violin, a donated musical instrument forges an improbable friendship between 91-year-old Holocaust survivor Joe Feingold and 12-year-old Bronx school girl Brianna Perez, showing how the power of music can bring light in the darkest of times and how a small act can have a great impact. Holistic wealth expert, Leanne Jacobs, author of Beautiful Money, joins Janeane Monday at 9:00am PST! If you missed Leanne Jacobs on today's show, listen here! 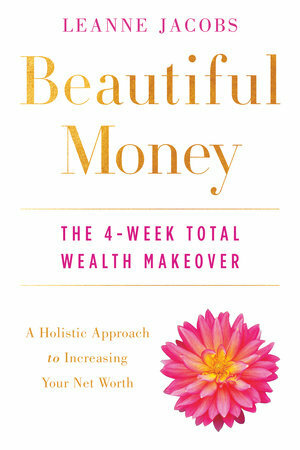 BEAUTIFUL MONEY: The 4-Week Total Wealth Makeover (TarcherPerigee Paperback), holistic wealth expert Leanne Jacobs roots her inspiring approach towards personal finance in an essential truth: that our individual relationship with money is always an external projection of our internal relationship with ourselves. Leanne Jacobs believes that our net worth is a metric and measure for self-worth, so before we improve our finances, we must first improve our own well-being. In addition to teaching readers how to budget properly and save for retirement, Jacobs will help them design a lifestyle based on their individual values so that they are no longer chasing anyone else’s definition of success but their own. Readers will reexamine the core values of their lives such as career, family, belongings, health and faith in order to align their fundamental truths with the way they generate income to create sustainable prosperity financially, physically, emotionally, and spiritually. BEAUTIFUL MONEY is a compelling invitation for women to create holistic wealth and take control of their relationship with money so it becomes authentic and positive. Most of us believe that pounding our way through our days is the only way to prosperity and success. We sacrifice time with our loved ones, our weekends, our vacations, and perhaps even our sanity, in exchange for a paycheck. We put ourselves and our health at the bottom of our priority list and give everything to the great pursuit. We want to have it all, but don’t find satisfaction in any of our achievements. Instead, we find ourselves sitting in our offices and big houses feeling unhappy, broke, burnt out, and unfulfilled. Beautiful Money offers another option. Leanne Jacobs worked in sales and marketing for several Fortune 100 companies, including Johnson & Johnson, Nike, DuPont, and L’Oreal, until she had an epiphany: while her life looked successful on paper, she had been living a lifestyle she was brought up to believe was important, but that made her unhappy, unhealthy, and disconnected. She quit her job the next day and overhauled her entire life, a la Beautiful Money. She has an MBA from Wilfrid Laurier University in Ontario, Canada, and leads seminars on personal finance, entrepreneurship, leadership, spirituality, and holistic health. An 8-time marathoner, amateur surfer, and Reiki healer, Jacobs is working with her husband to create a health and wellness charity dedicated to the care of children. Learn more at http://leannejacobs.com/.